"Bole So Nihal, Sat Sri Akal" is what I can imagine he must be saying as he leads his army to the battle. This is the Sikh battle cry which means Shout Aloud in Ecstasy! True is the Great Timeless One. 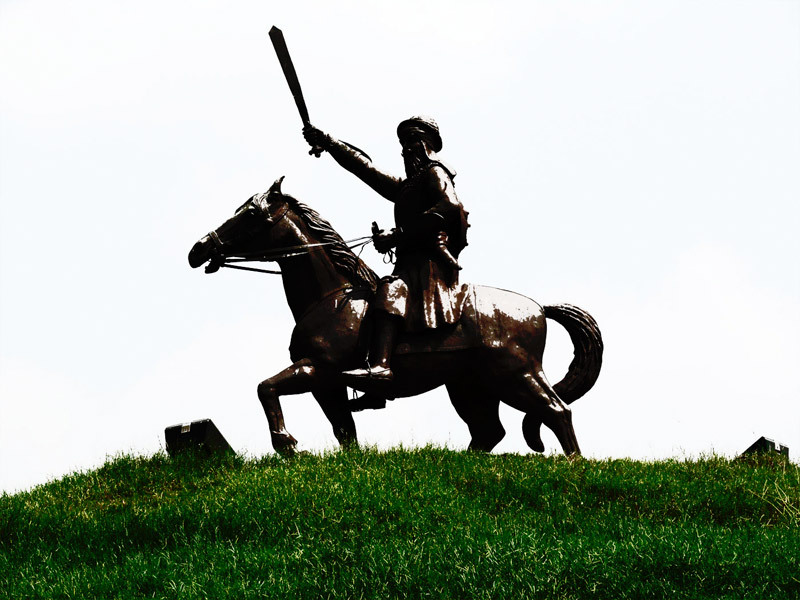 He is one of the five generals of Baba Banda Singh Bahadur at the battle of Chapparchiri.